Hello Everyone! 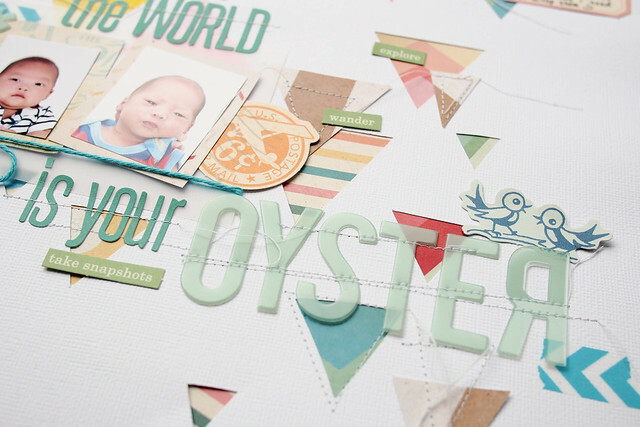 It's Sam here today to share the way to use the 6x6 paper pad that come in the Pocket Life kit. I am loving the Summery color in the July kit and have been scrapping many summer-related photos with it. 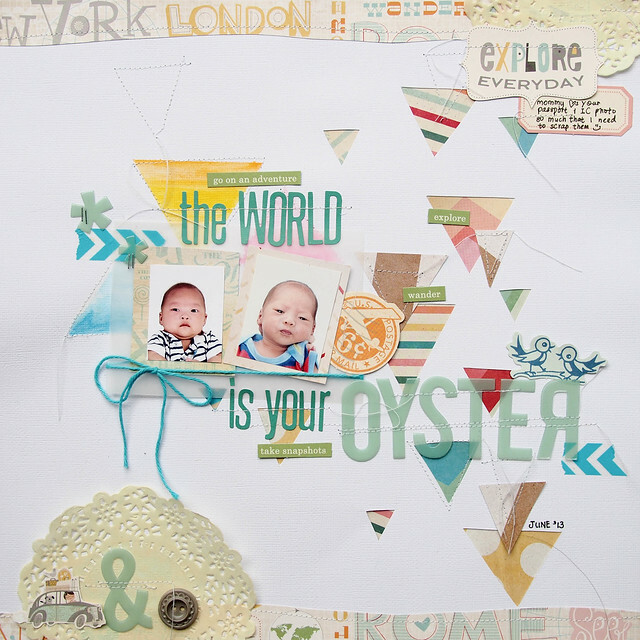 I made this layout after watching a video tutorial by Dear Lizzy on creating triangle with water-colour. I started with colouring three triangles (in blue, yellow & pink)on the left of my white card stock. Then before layering photos, I cut out a few more triangle using Xacto knife. I then cut out some papers from the paper pad and layer it under the cardstock. 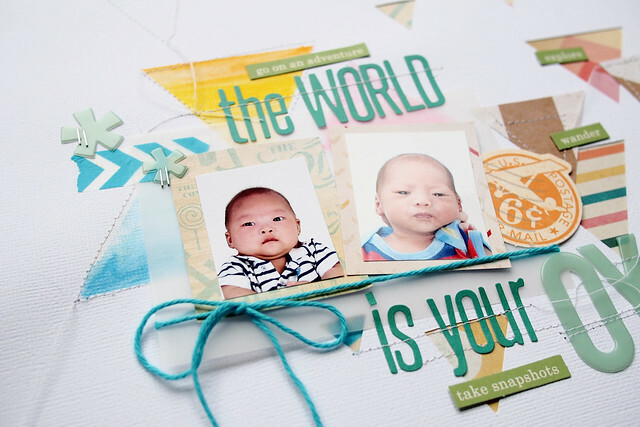 These are the passport & ID photos of my baby boy and I wanted to scrap a layout of it with the title 'The World Is Your Oyster''. I mat the photos on patterned papers and vellum, then tie the blue twine (that came with our kit packaging) to draw attention to the small photos. Here's another close-up of the triangles. I also added some machine stitching randomly to create extra texture for the triangles. Note: The Heidi Swapp alphabets and October Afternoon paper strips that I add on the top & bottom of my layout is from my own stash. The rest of the supplies are from July Pocket Life kit & embellishment kit. Thanks for looking and have a great day!